This week is Emergency Nurses Week and we would like to thank our incredible team of emergency nurses who deliver the highest level of care when every second counts. These talented individuals provide care and compassion to patients and their families on some of their darkest days. Please take a moment this week to thank the emergency nurses in your life for their dedication to their craft. 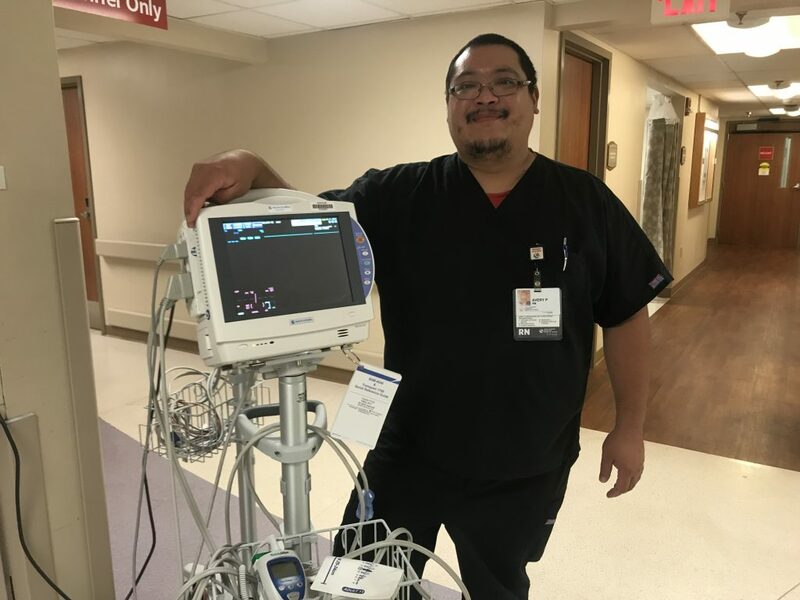 Today we are featuring Avery Posadas, a night-shift emergency nurse who enjoys the teamwork and fast-paced nature of his role. Read more about Avery below. How long have you worked at Fort Sanders Regional? What attracted you to working in the emergency department? I like the fast-paced nature and the challenge of working here. What are some traits necessary to be a successful emergency nurse? What do you enjoy the most about working in the emergency department at Fort Sanders Regional? We have a great work culture, a supportive environment and all my coworkers function well as a team. What advice would you give to a new nurse who wants to work in the emergency department? Step out of your comfort zone and try something new.